In theory, a business is a standalone legal entity different from the owners – a business can sue or be sued. Depending on the type of incorporation and ownership structure, the liabilities of the business owners can be limited to their investment in the business. However, for small business owners, a business is not much distinct from its owner in practice. In fact, the personal finances of a small business owner can play a huge role in the ability to the business to secure financing irrespective of the quality of the finances of the business. Given that there’s a direct correlation between the quality of your personal finances and your ability to secure a loan for your business, it is essential for business owners to know the factors that determine their ability to secure loans for their businesses. Lenders will be interested in reviewing the credit history of your business especially if you are seeking financing for an existing business. Your personal credit history is a big part of your financial profile and lenders will be interested in seeing how you’ve managed credit in the past. Before you start applying for loans, you may want to order your personal and business credit reports. Ordering your credit report early will let you know your personal and business creditworthiness so that you can start correcting inaccuracies where applicable in your credit report. Lenders will also want to see four to five years of business experience in your business credit report; hence, you may want to start building credit lines as soon as possible. Many business owners run their business with personal assets, but you’ll need to find a way to establish a credit history for your business – you can start by making some purchases on credit even when you have enough money in the bank to cover the payment upfront. Most lenders will want to secure a loan against your personal assets so that they can recover some/part of the loan in the event that your business defaults on repayment. You’ll find it hard to secure financing for your business if you are not willing to put up collateral for the loan. In fact, online lenders who usually have lax lending requirements than traditional financial institutions will require a form of collateral. For instance, one of the many Ondeck reviews available online shows that the online lender requires a UCC-1 blanket lien or personal guarantee in lieu of traditional collateral on business loans. Some other lenders might insist that you find someone to cosign the loan for you. Thankfully, you may be able to use inventory and accounts receivable as collateral when apply for short term loans. Nevertheless, you need to understand that the face value of the assets you want to put up as collateral will be discounted when the lender determines its loan-to-value ratio. Hence, you shouldn’t be surprised when a lender is only willing to provide you with a loan worth between 50% and 70% of the appraised value of your assets. Many traditional lenders may not admit to this publicly, but lenders do (and will continue to look) into the presence of an existing business relationship with the borrower. You can apply for a business at any bank, but you have better odds of approval with a bank with which you have build up a business relationship. Hence, some banks will insist that you open an account and keep the account in operation for between 3 months to 6 months before you are eligible for a loan. Keeping an active account with the lender provides them with insight into the cash flow patterns of your business. An existing business relationship with the lender also helps you to establish the credibility of your business; thereby, making it easier for the lenders to use a less stringent loan eligibility criteria where appropriate. 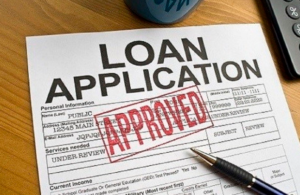 However, if you don’t want to take the long and laborious route of building a business relationship with the lender, you may want consider getting a loan from online lenders. Online lenders often make a impersonal decisions on loan applications because they depend on computer algorithms to review applications and make decisions within the hour.